I have been registered at this practice for 4 years and it is truly fantastic. 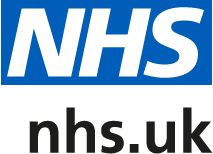 The GPs are caring, compassionate and understanding and through all my experiences the reception staff have been nothing but courteous and polite. Over the past couple of months I have been coming more frequently to the practice and I have never been treated with anything but the most kind and understanding attitude by my GP. My doctor is willing to give their time and patience to help me, and I really feel that they understand my issues. An open and honest approach is given and an acknowledgment of therapist-patient relationship trusted. I have been completely supported and his willingness to meet on a regular basis (even when I know the NHS is facing its most challenging times yet) has meant the world. The best surgery to be registered at. The GPs are very considerate and make sure they follow up on the treatment. I regret relocating outside of Oxford, haven't found a practice as good.